Mitsubishi Outlander, Lancer, Galant, Eclipse, Endeavor. Used cars, used vans, used SUVs, used sports cars, used luxury cars, Mitsubishi used cars. Family Auto of Anderson is a used car dealership offering approved bad credit financing and easy approvals for people with bad credit or no credit. We have a huge variety of used cars, trucks, SUVs, and used Vans. So, if you are looking for used cars in Anderson, then look no further, check out our inventory. We are your premier Buy Here Pay Here dealership located near you in Anderson, SC. Family Auto of Anderson is located on the Highway 28 Bypass, just a few minutes’ drive from downtown Anderson. We are proud to be a part of The Family Auto Group, one of the largest used car dealers in South Carolina. Our inventory consists of quality used cars, trucks, vans, SUVs, and luxury cars. 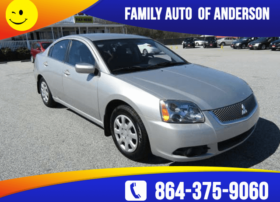 If you’re looking for used cars Anderson, used cars Liberty, or used cars Seneca, then look no further than Family Auto of Anderson. We serve Liberty, Seneca, Anderson, and the surrounding areas. We are dedicated to finding the perfect vehicle for you and your budget. Our goal at Family Auto of Anderson is quite simple, “We Treat You Like Family!” Come on by and see us. We are your Buy Here Pay Here in house financing dealership located downtown Anderson SC. We specialize in helping people with bad credit or no credit in finding great used cars in Anderson SC. We are a buy here pay here which means we have in house financing! We can help you get approved for a great used car, truck, or suv today! Another thing that sets us apart is our reporting. We report to the credit departments that you have purchased a car and you are making your payments on time, this helps you build your credit score! Our buy here pay here dealership in Anderson SC obviously has great cars but we also have extensive service contracts that most Buy Here Pay Here dealerships do not provide. We stand by our vehicles, the quality, and service. If you are looking for a Buy Here Pay here in Anderson, please give us a call today, we can get you in the right car, right now! Buy Here Pay Here Anderson, SC. 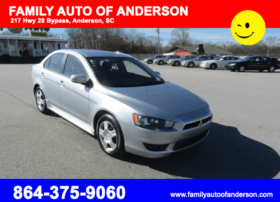 Our specialty is Used Cars Anderson, SC! We have a program for everyone, whether you have good credit, bad credit, or no credit. Used cars Anderson, SC. We also specialize in a FIRST TIME BUYERS program.